A few days ago I updated my PC to Windows 10. 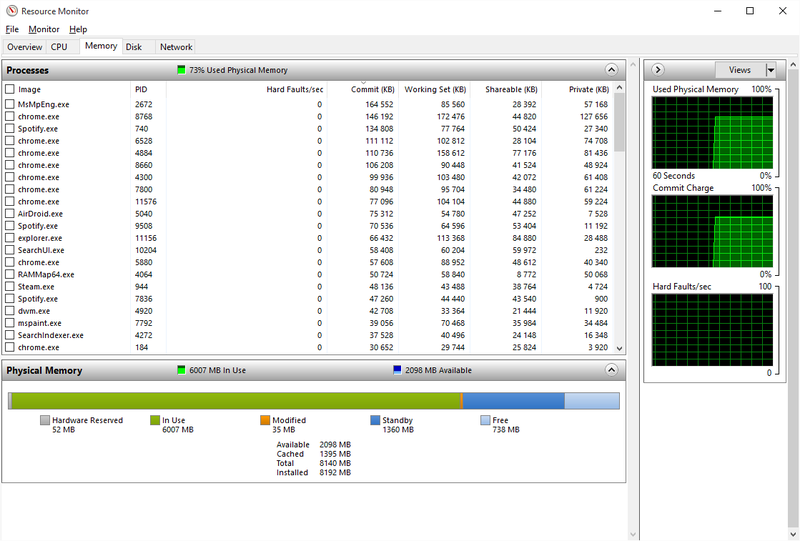 However, after some use my PC started to slow down until it was impossible to use – it was due to high memory usage. After a restart, everything came back to normal (total usage around 25% of 8GB of RAM). However, during a few hours of usage the memory builds up again to 70%, and if not restarted it further goes to 100%, and later on even freezes. 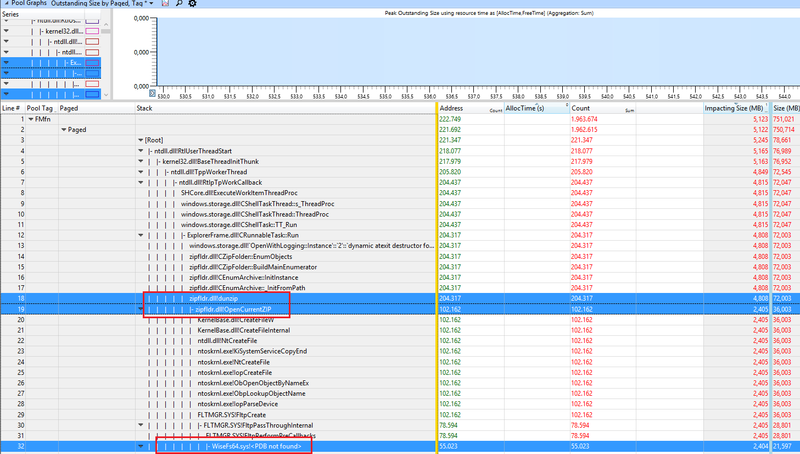 Task manager does not help very much as it does not show all the processes (added screenshots below). Also tried RAMMap but it gives an error: "error refreshing database". I tried Googling this question, yet without much success. I do not know much about PCs, but maybe some of you know this issue, or could help to find out what is using my RAM. 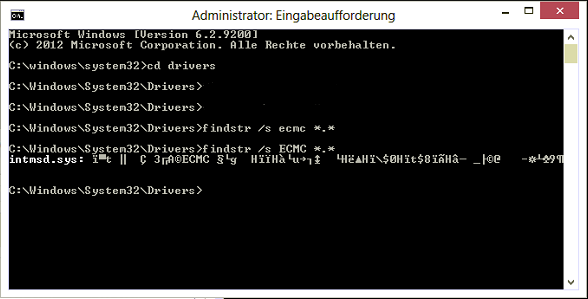 The tag is used by the driver WiseFs64.sys which is part of the "Wise Folder Hider" program. Removing it fixes the leak. The tags are used by the program Razor Cortex. Removing it and using Windows Defender fixed the issue for him. this guy might have a Killer Networking (previously Bigfoot networking) brand network card. Was going crazy trying to figure out why I had a massive memory leak and even did a completely clean install and immediately after installing I had a memory leak. Of course I installed my network drivers and video card drivers but that was it. 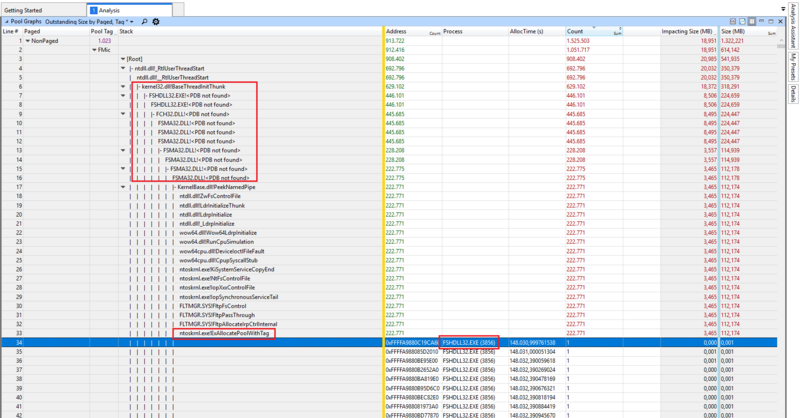 I searched Google... Found this thread saying it was his network driver then googled "killer memory leak" and saw hits for that and found it was the killer app itself and not just in windows 10. Now I'm golden... So if anyone else has this issue and they have one of the many gaming boards or laptops that have a killer NIC you can probably just disable the killer app from starting. But what I did was completely uninstall the ASROCK provided driver and then installed the latest driver only package from the official killer networking site. It's the smaller ~30mb download. If your download is closer to or more than 100mb then you got the wrong one. You'll loose everything that makes the killer stand out (it's QoS software) but that's what a good router is for in the first place... Especially since the killer app only handles the QoS of applications running on your PC and does nothing for your network as a whole. The accepted answer by magicandre1981 is the correct answer to this problem, if the RAM usage continues to climb to 100% then there's most likely a memory leak. However, if you've come to this page because Windows 10's memory usage is high but remaining steady (like in the 60%-90% range), you probably don't have a problem. 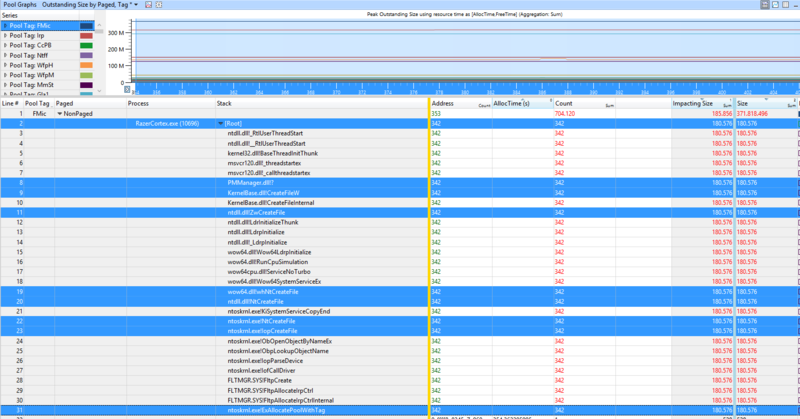 Windows 10 uses RAM more effectively than past versions. This is because unused RAM is wasted RAM. Modern operating systems have long swapped infrequently used memory data to a pagefile on the hard drive in order to free up RAM for more frequently needed memory data. (My Win 10 system has 8GB RAM and a 12GB pagefile.) However, it is slow to retrieve this data back from the drive, and Windows 10 will compress infrequently accessed memory and store it in the system process (in the RAM). It's faster to uncompress this data than it is to retrieve it from the hard drive (even an SSD). 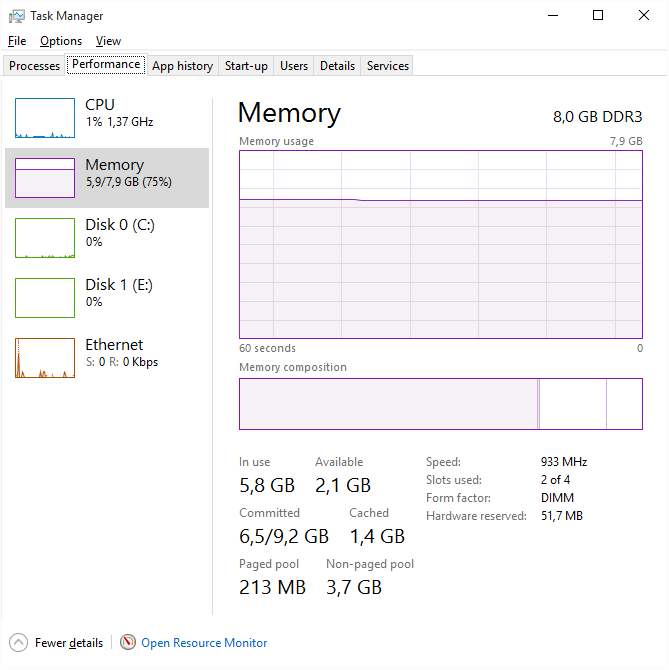 Just because your RAM is mostly full, does not mean you won't be able to run more things, if more RAM is needed then Win 10 will move some of this compressed memory to the pagefile to free up RAM for new applications. If you constantly find your system process is using more than 1GB RAM (like I do) than you probably have too many browser tabs open (like I do). An extension like OneTab can help. Not the answer you're looking for? 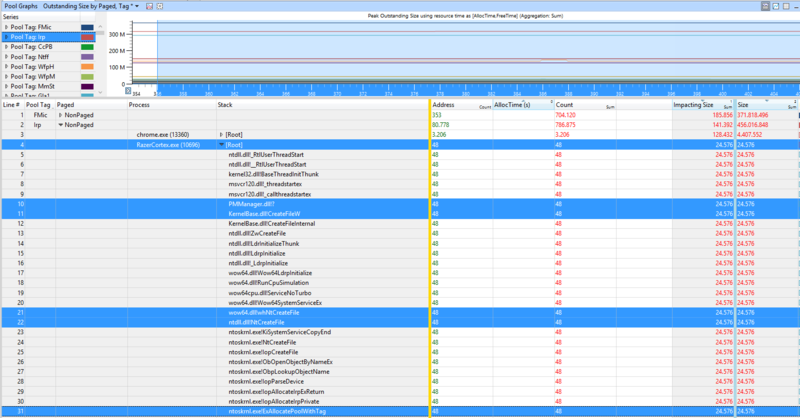 Browse other questions tagged windows memory performance troubleshooting windows-10 or ask your own question. 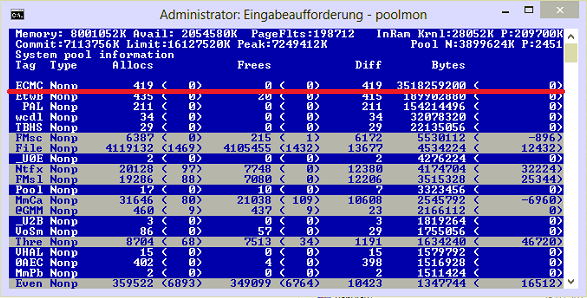 Huge paged pool probably caused by fltMgr.sys , what to do? Why doesn't Taskmanager show all memory use?